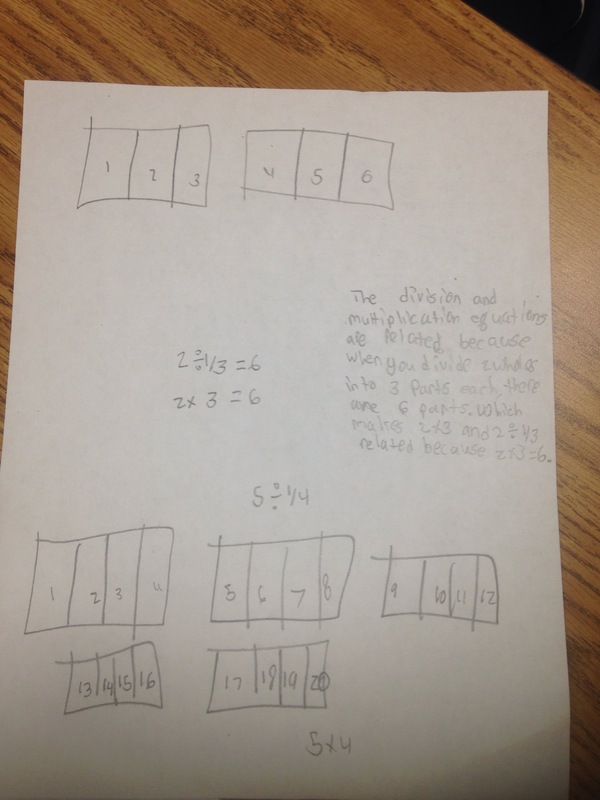 Let’s face it…students coming to us using k-c-f (invert and multiply) to solve division of fraction problems is inevitable. 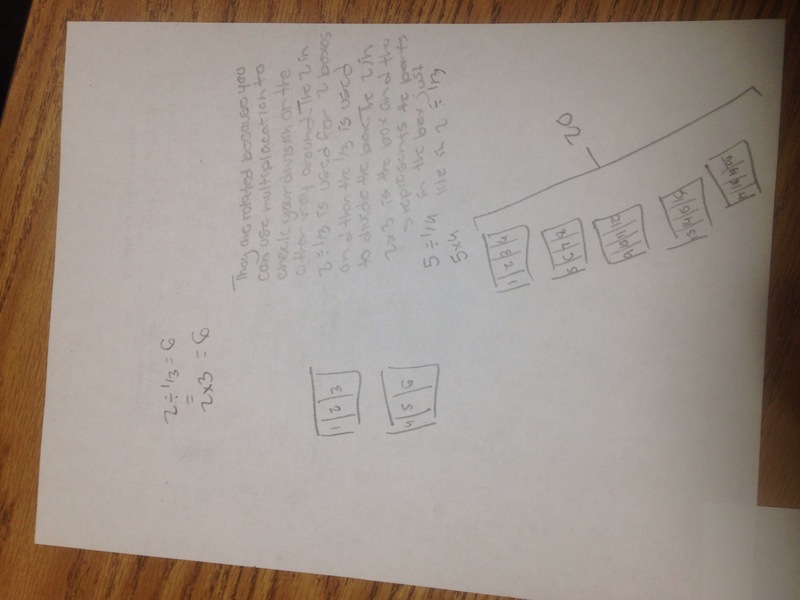 There are too many teachers who rely upon this method as the sole method for dividing fractions. From my experience with teachers, many of them believe you cannot divide fractions, you can only multiply them, which makes invert and multiply a logical method to use. Does this mean you should continue on with this trend of misunderstandings when students use this within your classroom? If you’re teaching for correct answers only, I’m sure there was a resounding “yes!” to my question. However, if you teach for understanding which allows students to build upon their knowledge, apply concepts to new information and see patterns and structure you probably paused to ponder what other methods are there. The black hole of resources within nzmaths (Nzmaths: Lesson on Dividing Fractions) houses a wonderful set of lessons that help guide students through developing an understanding of dividing fractions. 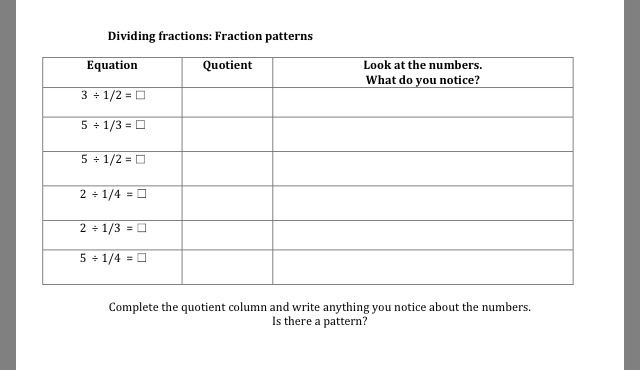 Towards the end of the sessions students are encouraged to look for patterns when dividing whole numbers by fractions. Two things I added when implementing these sessions with students were beginning with 1 whole and asking students to create a visual representation. Because many teachers do not conceptually understand the invert and multiply method, I will not rob you of an opportunity to make sense of it for yourself. Try it out and leave a comment.